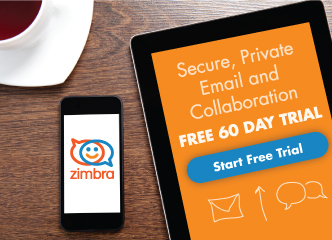 Were you wondering when native Chat would arrive in Zimbra Collaboration? It is here! Today, in Zimbra Collaboration 8.7.6 and in an early status introducing Chat and Zimbra Drive, a NextCloud/OwnCloud integration. We strongly recommend that you test these features on a staging or pre-production environment and provide us with feedback in these forums: Zimbra Chat Forum and Zimbra Drive Forum. And some more great news! This Release includes the Ephemeral back-end, in Beta status. This major change in Zimbra architecture allows enabling protection against CSRF and cookie-reuse attacks without increasing load on LDAP. Here is a list of all the items addressed in this Release. We have released a slide deck about What’s New in Zimbra Collaboration 8.7.x, and we hope you like it. Follow us on Twitter and LinkedIn to keep up-to-date about upcoming webinars for Zimbra Collaboration, Zimbra Talk and Zimbra Suite Plus. Click here if the slide deck is not working for you. Note: Code is just published as it is. The objective is for people to see the code changes. There are some tweaks required for the build. We are working on restructuring. The Zimbra Drive “more information” link above goes to the Chat ticket in Bugzilla. The “download” link _still_ requires a tedious sales leadgen form EVERY SINGLE TIME. Can you _please_ do something about this? Fixed the link, sorry about that. If you are trying to download Zimbra OSE, use the zimbra.org site, no form required. Whoa; I did not know that site existed; thanks! BTW, on zimbra.org the “Download” menu bar item takes me directly to the OSE download page (yay! ), but the banner image “Download” goes back over to the leadgen form. I’m afraid there’s something wrong with the RHEL 7 / CentOS 7 download, either with the file itself or with both the md5 and sha256 checksum files. The bad value is consistently the same. Take a look now, we have uploaded a new build, and it’s possible you were hitting an old build due to the cache, try it now. Any chance the checksum files were not updated to match the new build? Could you perhaps run md5sum or sha256sum on a known good file to double check? Thanks for the note. The downloaded .md5 file had the correct MD5 checksum, but the download .tgz file did not. Today that finally changed, so whatever prevented the server from providing the correct file before has either been flushed out or it expired (in case of caching). Yay. Going to install 8.7.6 shortly, after making a backup. Is there any “how to” to upgrade from zimbra 8.7.1 to 8.7.6? what was the reason for the new build? Any critical issues for people who are using the package before? Please let me to know old server same backup we can upload new server.